I'm actually trying not to sound depressed because even when I entered I knew the odds of winning were slim. Did I want to win? Uh, yeah (where have you been?). Do I feel like I was in the running? Yep, but a lot of people were. It's weird because part of that sinking feeling I got when I didn't win is also a little directed at the other entrants too. I mean, in all seriousness, I went through the entries myself, in terms of skill, they all could have won. In many respects, they all should have won, but it came down to personal preferences, number of readers/who actually voted, and with the glitch I'm not ruling out luck or timing either. Congrats Brae, Lyssa, & Audra! So wait, Why am I not totally devastated that I lost? "I would love to win, but I still gain something if I lose, it won't break the bank, I have the time, and I'll enjoy participating." < That's my criteria for entering a contest. All contests are gambles. Especially vote related ones. If you can't afford to lose, you shouldn't enter. And when it comes to creative-based contests, they take time and money. Even if you win these types of contests, you will not make that time/money back. I didn't enter expecting to make any real money from this (and my budget was smaller than 1/12 scale house). I already had the cabinet, so all it really cost me was time. This contest allowed me to blog my progress, demonstrate my skills in I way I did not previously have an opportunity to, and at no point did I have to giveaway my work or even my rights as copyright holder(lots of design contests want the copyright, if not the original entry-not dollhouse contests though). I'm the proud owner/creator of this neat little Steampunk House, and people will be able to see it online for years to come. I've met and befriended some really talented people. I gained quite a few new readers/followers on this blog, plus my Facebook page, Tumblr page, and DeviantArt gallery. 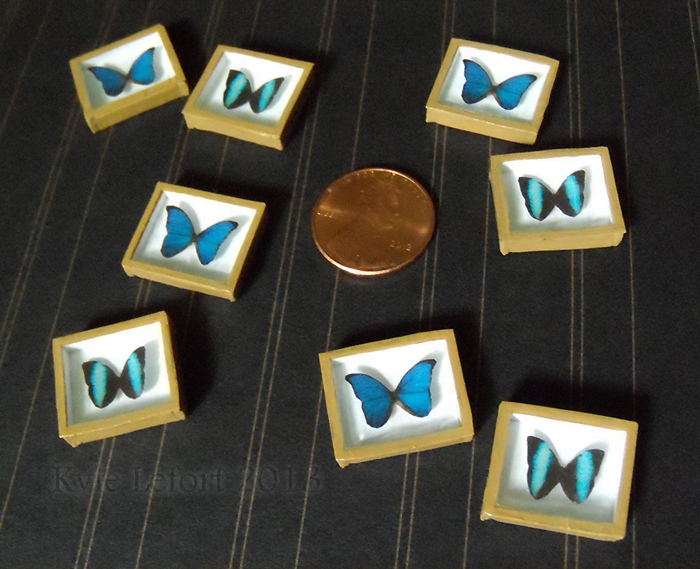 And since finishing the Steampunk House, I switched to working on new items for my Etsy shop. But I can't just make little bugs all day every day, so what's next with this blog? Good question. 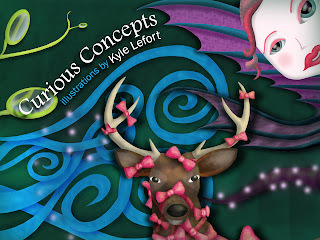 Well let's see: The Curious Concepts Project is a go, just as soon as Amazon clears my funding in a week or so. That means you're going to be hearing a lot more about my illustration work. Again though, lot's of people, self included, enjoy my miniature work, so there are also plans to keep working on Billy and the Van Buren, assuming I can dig it out of that pile of stuff it's been in since last Fall. Then there's finding something to do with The Steampunk House now that it's done. Pretty much anyone that's seen it in person agrees with me that it should be publicly displayed somewhere. Whether that means an art show down the road or what, I don't know, but too much time has gone into the piece for it to end up packed away in the basement (it's definitely a portfolio piece). Which reminds me, How awesome is it that from mid-November until last week, 13 people, and Christina (who also ran this whole thing), somehow finished their dollhouse projects. I mean there were flesh wounds and half of us quit sleeping, and everything else, but we did it! We are now part of the, "Hey, I joined this lengthy online blog project, and I actually met the Deadline! ", club. Congrats. Not everyone can pull that off with such stunning results. Again, thank you Christina for hosting this event, it was fun. Glad to hear there are plans for an Undersized Urbanite 2014. No idea if I'll be entering again next year, but I certainly will be following from now on. I am sorry you did not win, but either way your project is incredibly well done and a beautiful miniature. I think miniatures are so personal and it really is personal preference. Thank you Giac, I'm pretty happy with the results, even if I didn't win. And I know you're joking, but really, I liked the entries that won and the winners are some very nice online friends, so who can argue with that? Kyle, your house is beautiful, and definitely not your grandmother's kind of dollhouse. It is unique, and very much a work of art. I think the idea of 13 plus people working on a craft or art piece online over six months is what sets the contest apart from the other "let's keep it secret til the end" contests. I feel like I won because I made a number of new blogger friends and colleagues. The dialogue is what made it valuable for me. You are an artist, and your house was deemed excellent by a community that appreciated its worth. I hope you display it on your blog or website in a gallery of your work. Since you were one of only 13 finalists, and it is a one of a kind piece, you may want to get your local paper to do a feature on it. BTW, I voted for you. And if I didn't get a chance to say it earlier, I really liked your Art Deco house, that radio idea was genius. Hey! I am behind on commenting, but I just wanted to say I felt your pain, LOL. It was disappointing to put so much work into something and get what(felt like) nothing, at the end. However, now that I am not as bitter and I have looked at it again, we did gain a lot. Experience, knowledge, friends, and pretty little houses at the end! Voting is Open Again! Go Vote Now!! !